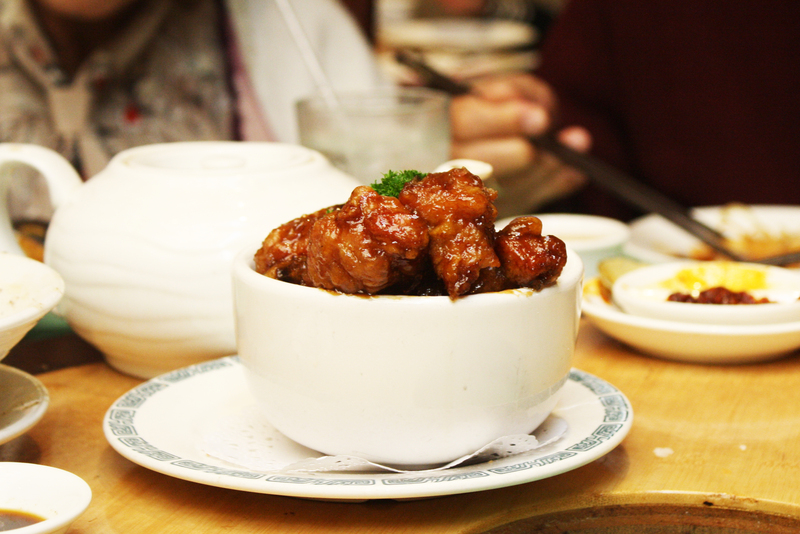 Spicy Beef Tendon & Dumplings. 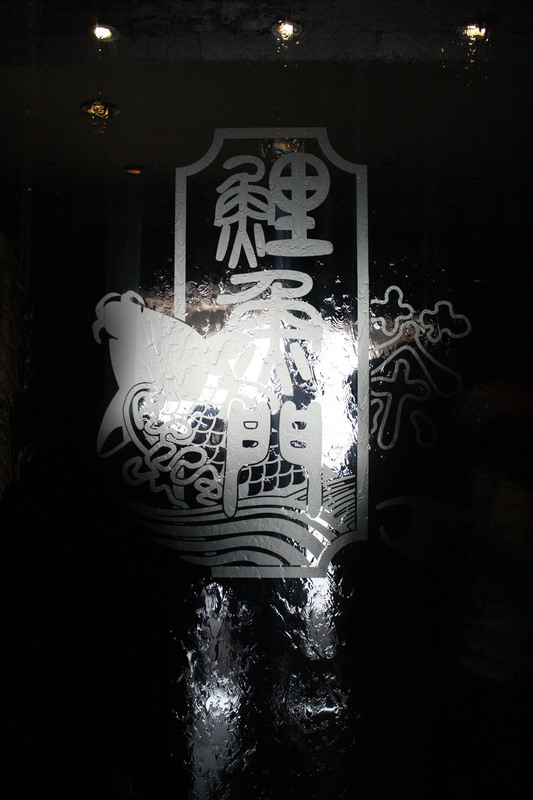 It’s not a figurative speech when they called Kingdom of Dumplings a hole-in-the-wall joint. Hidden far away in Park Side, without the sign and the line of people waiting in the from, it could easily been mistaken for some sort of elevated basement. 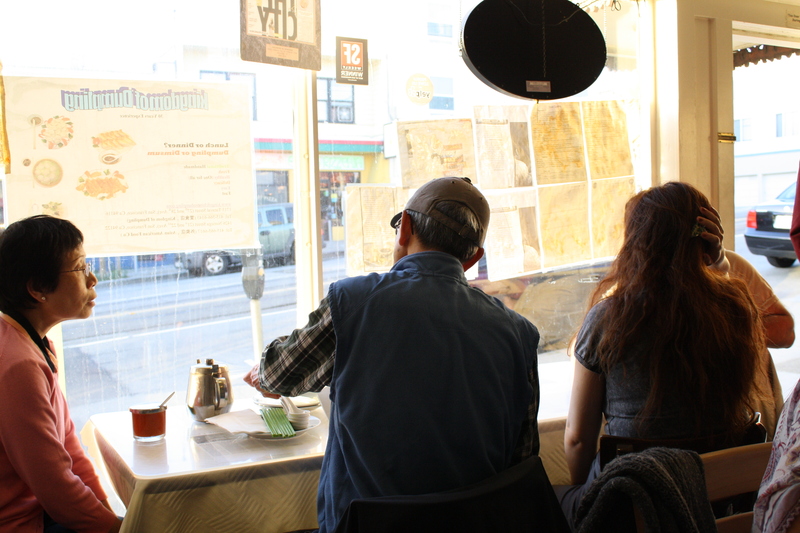 Despite being tightly packed into the square room, the patrons waited patiently to be served, as the late afternoon shined through the front windows. 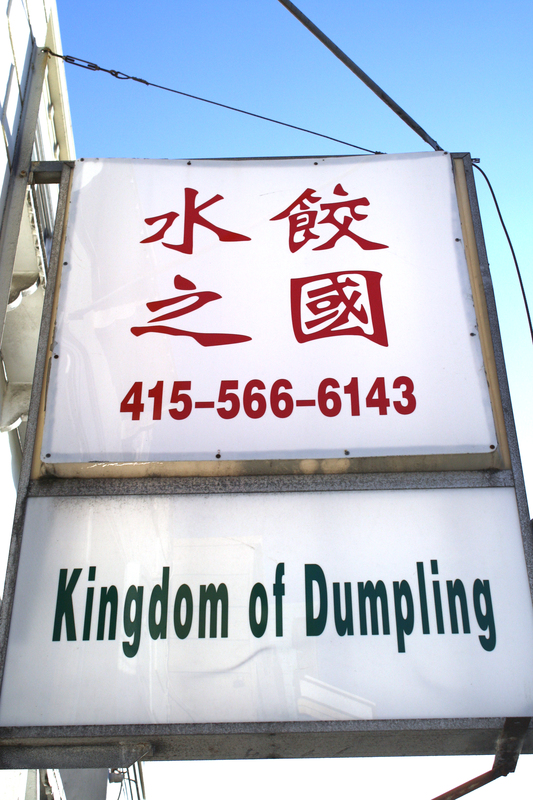 Here we are, the Kingdom of Dumplings! The space was tight and slightly too warm, the walls appeared to be a tad greased, but the servers were all smiles and kindness. 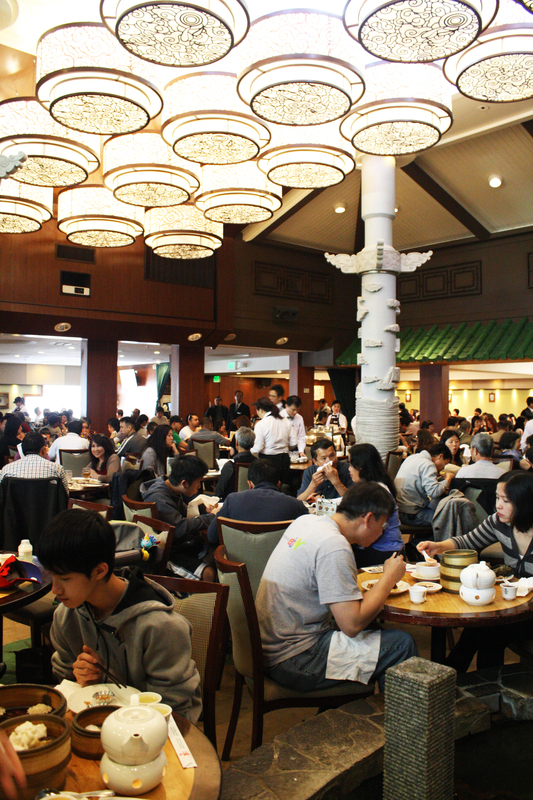 We are here for the dumplings, and some Northern Chinese eats that cannot be found on the East side of San Francisco – where the Cantonese and Hunan cuisine dominated. 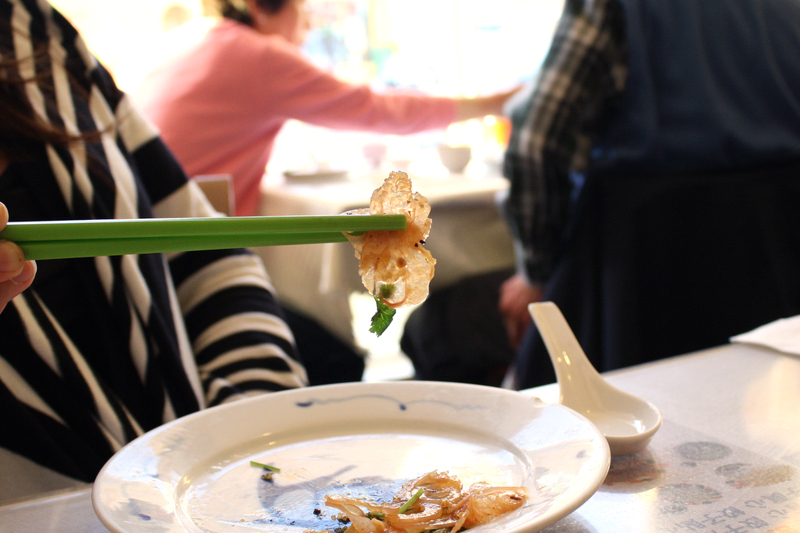 I was most excited to have found spicy beef tendon on the menu, even more when it appeared before my eyes. Beef tendons cooked in soy sauce, rock sugar and anise seed, chilled then thinly sliced. It is then mixed with chili oil, garlic, pepper, chopped cilantro and sesame oil. The tendons see-through when picked up. It was cold and refreshing at first, the texture gelatinous but on the chewy side. Chopped up cilantro brought a nice aroma that erased any unwanted fattiness. 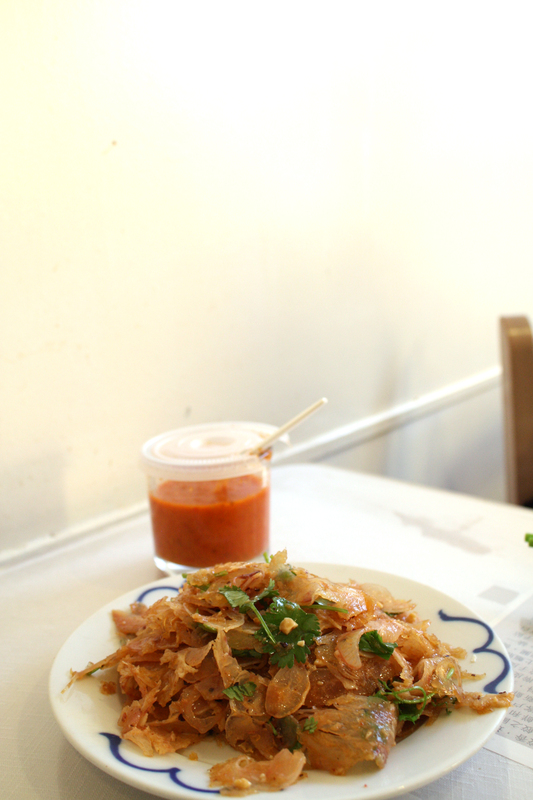 Then – as we sat and ate, before we knew it, the stealthy numbing spice hit us. Like wild fire it spread through our mouth, making us sweat yet unable to stop going for more. 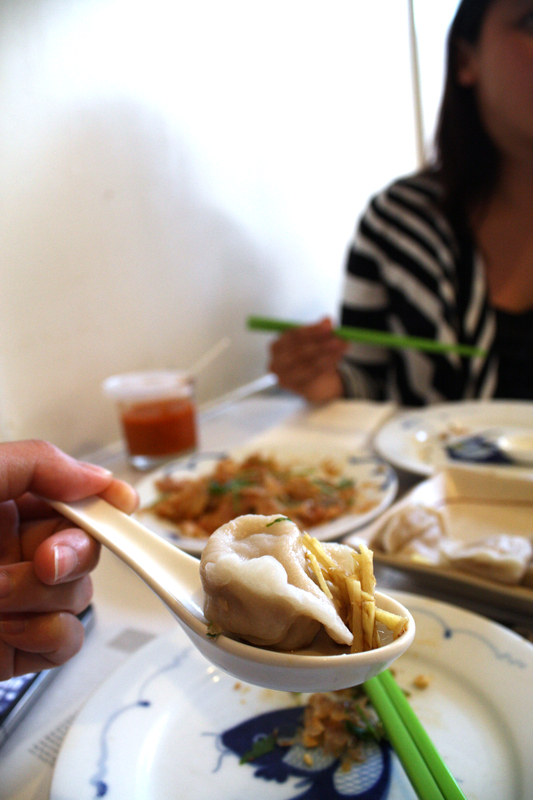 It was really a ‘thank goodness’ moment when the dumplings arrived. For we could then divert our attention from the tasty, killer beef tendons, and move on to something else. 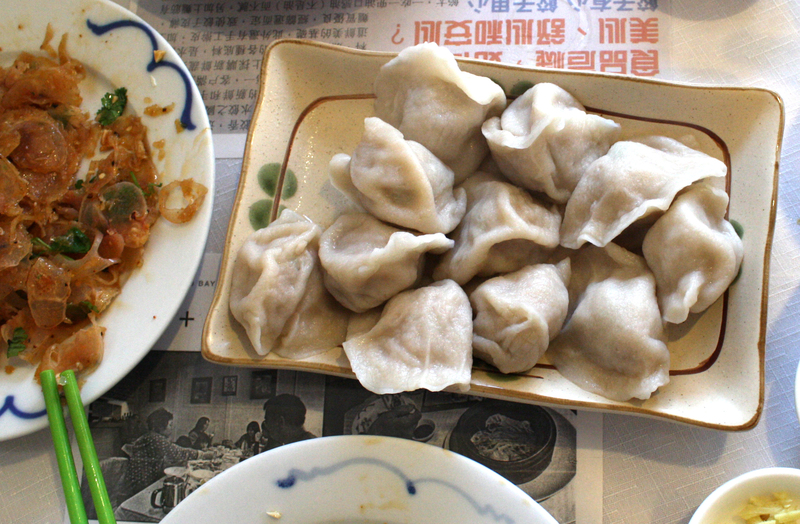 Sitting in the mess of our tiny plastic-covered table, 12 cute little boiled dumplings sat and stared. “Eat us instead!” they said. The heat was making me slightly delirious. You could really taste the hand-knead dough. Thicker than the store-bought, machine-made ones, the dumpling skin was thicker and a chewier, the perfect kind that holds the stuffing together. Inside, ground pork and cabbage made a great pair – juicy, sweet, with a nice crunch from the green veggie. 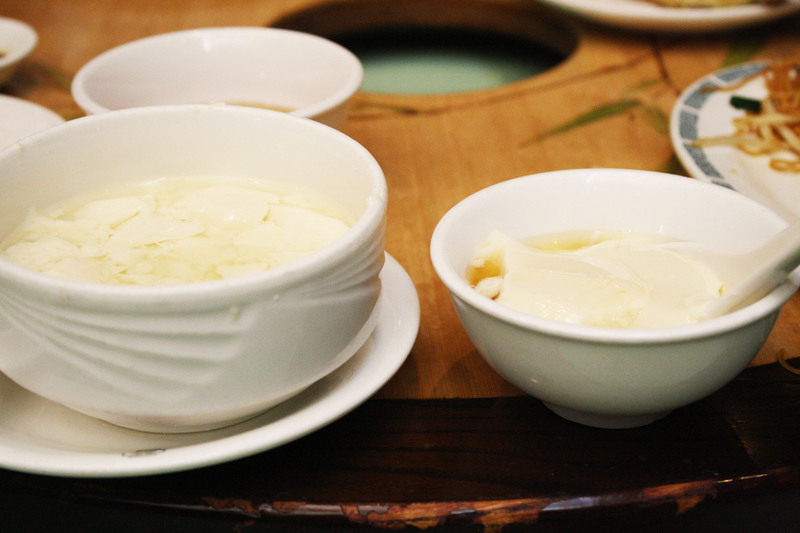 A light dip in black vinegar and some ginger slices gave a rounded taste. Yumm’s the word! 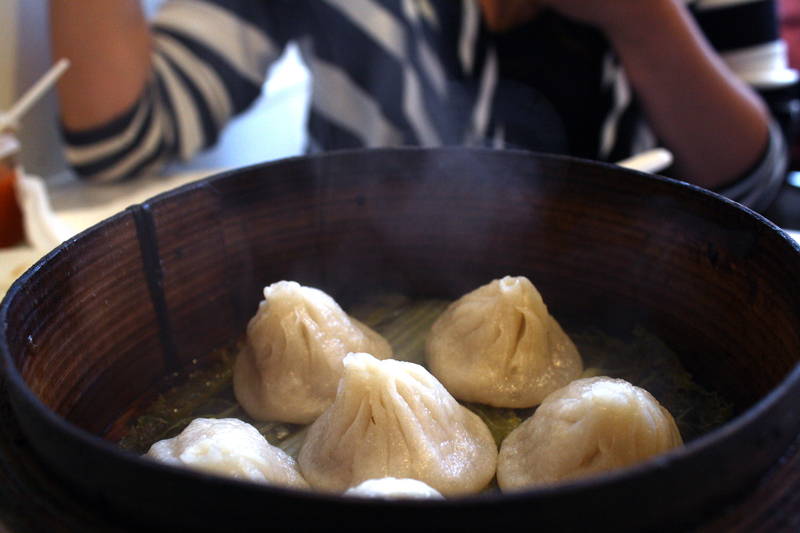 Next up, our taste buds travelled to Shenghai for some soup dumplings. 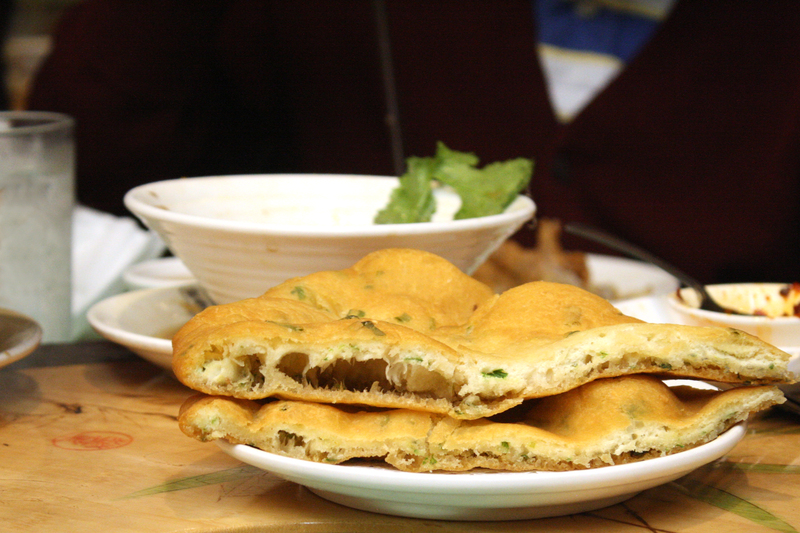 Also known as tiao long bao, the dough is traditionally slightly softer, thinner and more translucent compared to ones use on the dumplings. 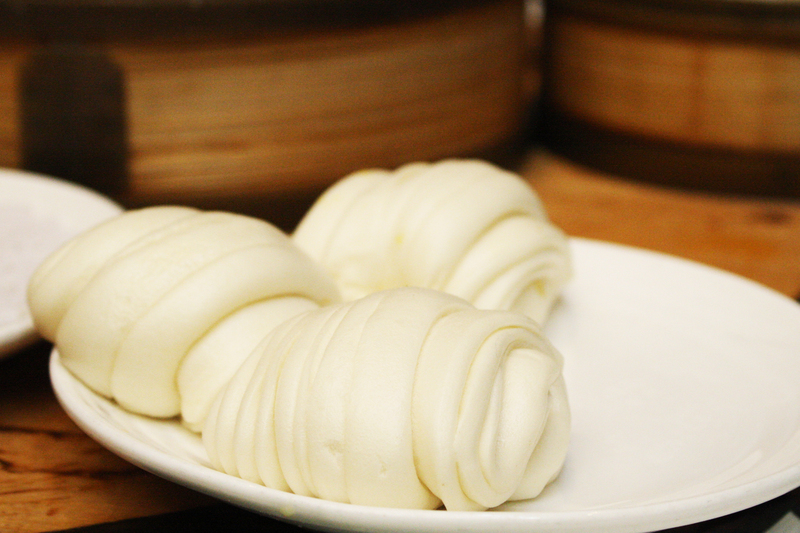 Though it seems that Kingdom of Dumplings just used the same hand-knead dough. 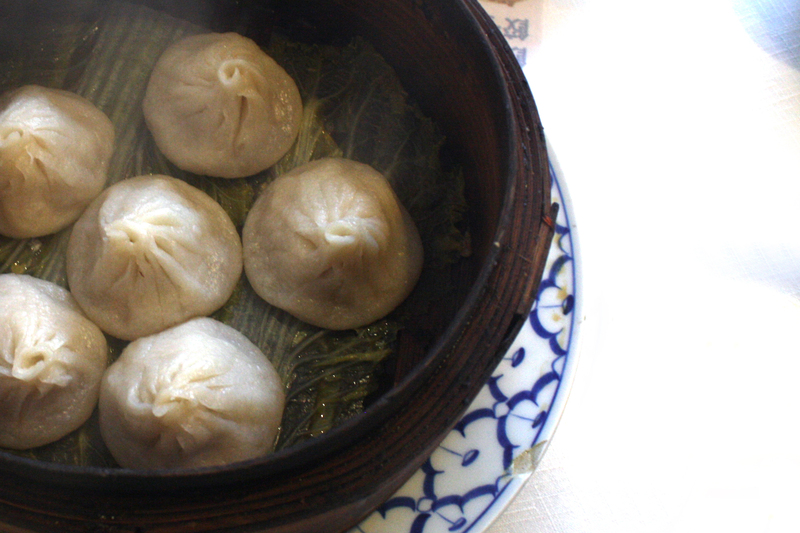 These dumplings were steamed instead of boiled. 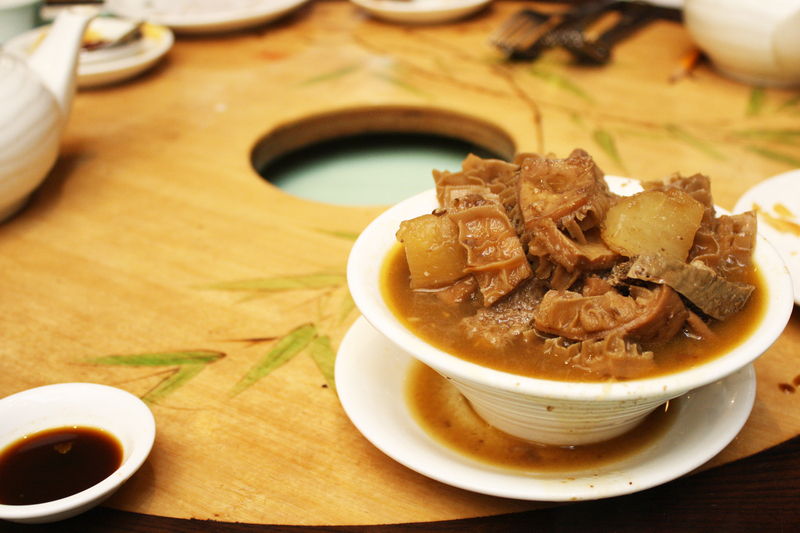 Enveloped within is a pork filling, prepared with solid pork aspics that melted into the tasty broth when heated. 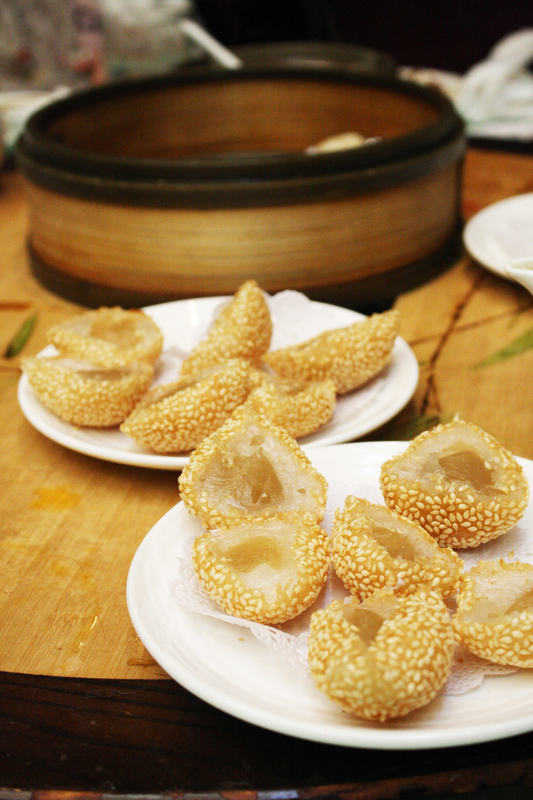 Because of the hot soup that could burst at the bite, it was recommended that we open up the dumplings a bit to let it cool before eating. Umami was its profile. The broth was on the greasier side, but tasty nonetheless. 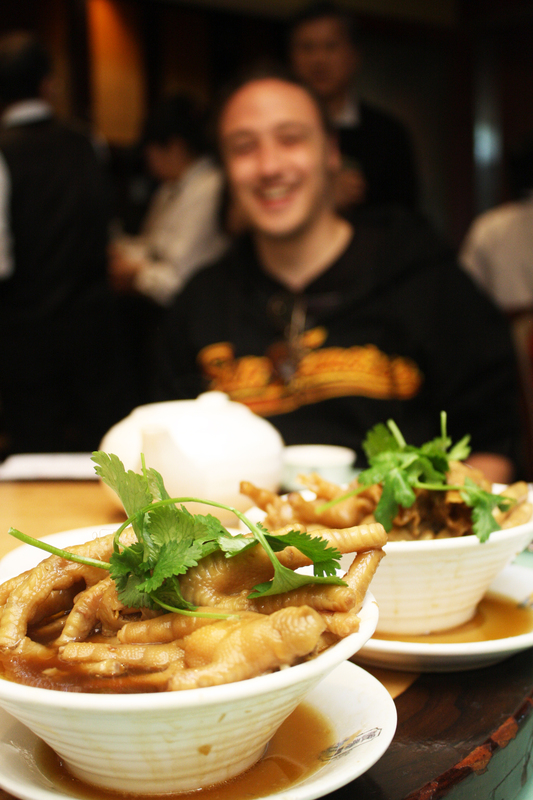 It provided a whole different experience next to the spicy tendon and the boiled dumplings – which were felt like a hugely satisfying, working man’s meal. 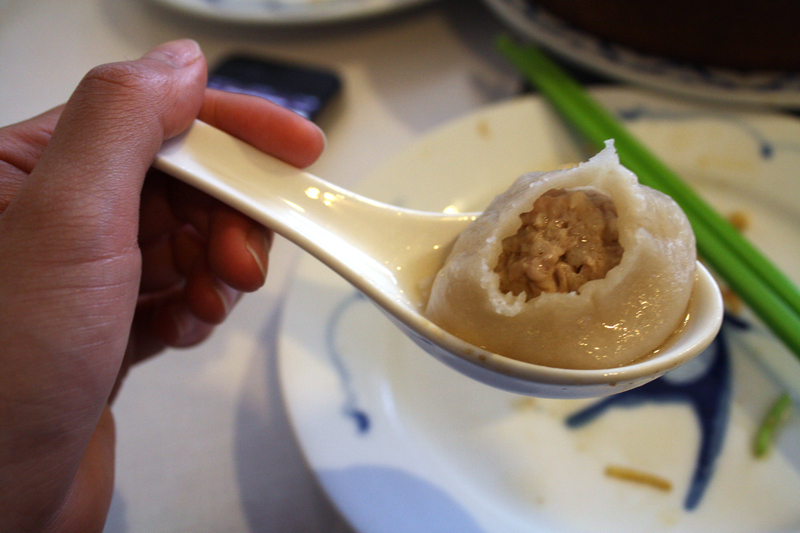 The soup dumpling, despite its thicker skin, felt delicate and gentle. To my tummy that was happy, that went for a long sigh and said: What. A. Day.